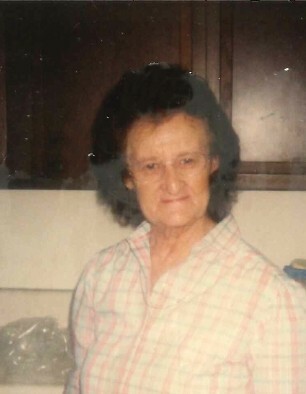 Obituary for AGNES CANNON TATE | Whitwell Memorial Funeral Home, Inc.
Agnes Cannon Tate, age 83 of South Pittsburg passed away Saturday, March 23, 2019. She was preceded in death by her parents, Fred & Viola Cannon; son, Leroy Wooten; sister, Louise McCurry. Those left to cherish her memories are three children, Lorrane Gibson of Indiana, John Tate of Monteagle, Lisa Norman of Trenton, Ga; sister, Beulah McHone; brother, Arnold Cannon; eleven grandchildren, Chris, Freddy, Robert, David, Linda, Justin, Shaun, Joshua, Kendra, Joshua & Kayden; eight great grandchildren, Kayden, Kendrick, Maddox & Autumn, Callie, Cameron, Carma, Kaelyn; several nieces & nephews. Family will receive friends 1-8PM, Monday, March 25, 2019. Funeral services will be 2PM, Tuesday, March 26, 2019 in the funeral home chapel with Rev. Ronnie Case officiating. Interment at Layne’s Chapel Cemetery.